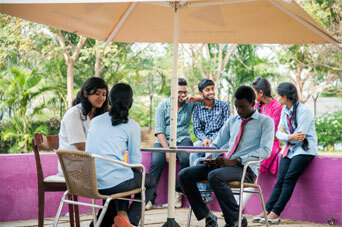 The campus life at Krupanidhi is anything but that of a traditional college. Sprawled out on a 11–acre campus amidst lots of greenery, the various institutions have a number of facilities including a library, hostels, a student cafeteria serving multiple cuisines to satisfy different palates, laboratories for all the branches of science, a gym and a fitness center with state of the art equipment imported from Italy, sports arena with facilities for various games, a digital library as well as transport facilities for our students and staff. Krupanidhi has a wi-fi campus allowing the students flexibility and luxury of working from any part of the campus at anytime. 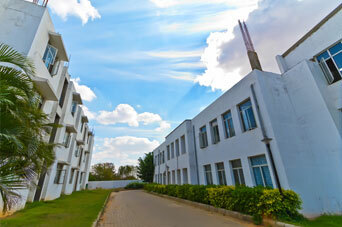 The Krupanidhi campus is comparably the best in the world. It is build to ensure and encourage all round development of its students, nurturing the world of tomorrow. It is said that books have the power to influence one’s mind in a way nothing else can, and the administrators at Krupanidhi have capitalized on that thought. All the departments have their own dedicated libraries complete with internet facilities and laboratories wherever needed. The libraries have a large and extensive collection of books, and national and international journals that are updated each academic year. 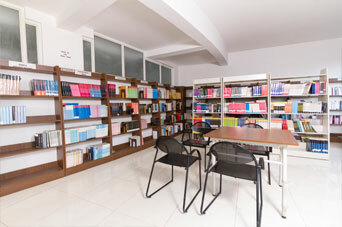 The library also has a digital section where one can find a huge database of reputed online journals and international periodicals, as well as a full–text collections of faculty and document publications. The library also has internet access along with helinet and wi-fi facilities. 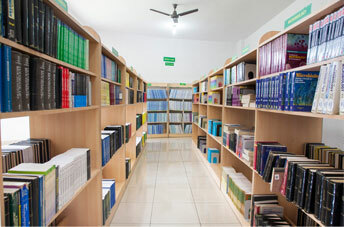 All the libraries provide the users with a reprography facility as well. The colleges have separate hostel facilities for boys & girls, with each of them having different capacities according to the strength of the students in each department. 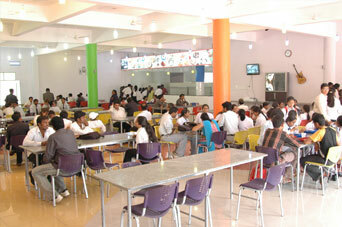 The institutions offer clean, comfortable and safe hostels for all the students in the campus. The rooms, which are on four to a room basis, twin sharing and single occupancy basis are spacious, well–furnished with beds, study tables, cupboards, and even solar water heaters, and all rooms have attached bathrooms. House–keeping facilities are available for the benefit of the students. Hostel wardens have been assigned to each hostel for the security and comfort of the students. Wi-fi is available in the hostel. Additionally, the college is making an effort to augment their hostel capacities periodically to accommodate more students. The facilities provided and the atmosphere at the hostels ensure that the students have the calm and peace of mind, which is essential for them to grow academically. 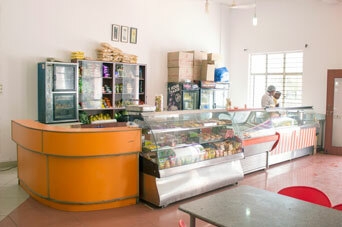 A well–stocked cafeteria that has numerous choices of cuisines to tingle the taste buds of the students is the lifeblood of any educational institute. 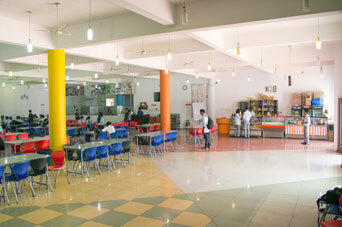 Krupanidhi’s cafeteria, which not only has a great ambience but also many cuisine choices of food from across the world, remains a focal point for the rest, refreshment and relaxation of the students. Right from various choices for food and energy drinks to an exclusive ice–cream counter and even an on–campus Café Coffee Day, the Krupanidhi cafeteria is a place of delight and invigoration for the people on the campus. Here taste, hygiene and nutrition go hand in hand in equal measure, none exclusive of the other. Krupanidhi College also provides free transportation for all its students and has a whole fleet of buses and vans for pickup and drop facility. 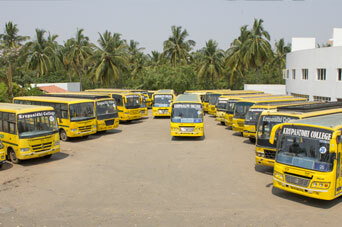 The various departments have their own fleet of buses and vans for the convenience and safety of their students. This includes many pickup and drop locations in the main areas of Bangalore. The scheduled and timely arrival and departures of the buses and vans ensure timely pickup and drop off to and from the college campus. The residential campuses with an enviable ambience are situated in the outskirts of Bangalore, and we provide free shuttle services to and from the city on weekdays and weekends allowing the students convenient access. College life though is portrayed as a carefree one, is fraught with issues which can directly affect the mental well being of the student who is in a very vulnerable age. Thankfully, gone are the days when a person`s mental health was seen as a mark of strength and overall ability. College students are constantly worrying about their choice of career, personal life, competitive outside world, and how they are perceived by their peers to name a few. This is by far the most sensitive time in their life which also has far reaching effects on them as an adult too. Krupanidhi College does not see students as mere students but as young adults who would need expert guidance in times of need. We have a counseling centre which is open during college hours and our top notch counselors do not see this as a mere job and are available any time any day imparting wisdom and best ways of dealing with issues the students are troubled with. The Counseling Centre is an integral part of the college and the students, the teachers and the parents have the liberty to walk in whenever they want to to discuss how best to deal with the issues in hand. Considering how the issues are unique from student to student, there is no set way of dealing with it, but rest assured our counselors are the best in the field and in serious, life threatening scenarios would interact with the respective parents to chart the best way forward. Each and every session will be confidential and would not be disclosed to anyone unless we need parental interference. Apart from this, students are often given career counseling too. When it comes to sports and extracurricular activities, the Krupanidhi Group gives equal prominence and importance to it as much as they do to academics. 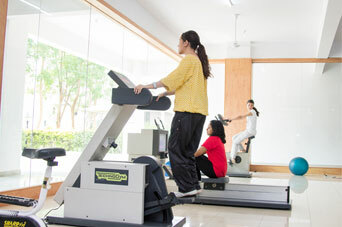 The college has extensive sports facilities for many sports right from volleyball, basketball, and badminton to football and the all–time–favourite cricket. Evenings see a flurry of activity on the grounds of the college with students playing various sports and many even enjoying as an interested audience. 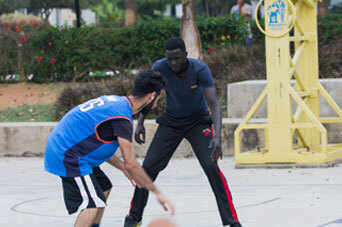 There is also an on–campus basketball court for the students to develop their talent. 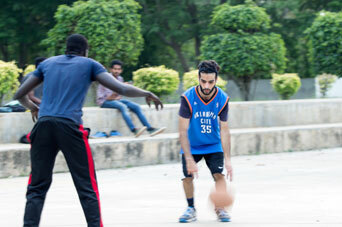 There are many sports clubs for different activities too, and they see active participation from the students and encouragement from the college faculty. 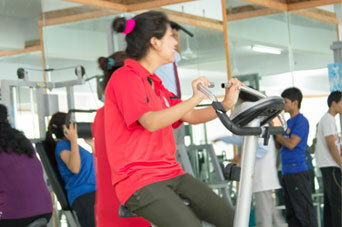 Apart from sports, the college also encourages and motivates its students to participate in many extracurricular activities. The college has many cultural clubs and societies such as the hobby club, the literary club, the IT club, NSS clubs, cultural clubs, and musical bands. The college also has developmental cells such as the Women’s Development Cell, as well as academic clubs. If there is one thing that the student communities across the world would agree, it would be about how monotonous learning theory alone can be. Students are constantly bombarded with the information and would feel cramped. The world is a playground for children who constantly imbibe things from the objects around them. While this `learning through playing` cannot be adapted literally in the case of college students, the laboratories in Krupanidhi can be closely compared to the playground as the students are welcome to test their theory under the close guidance of our expert teachers and lab faculty. We believe in the Gurukul system and our laboratories can be compared to the play area in your house. 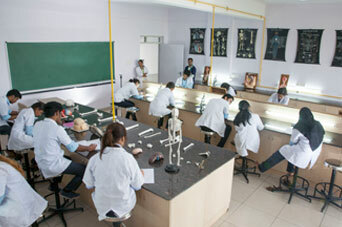 Krupanidhi College has dedicated laboratories for various disciplines. The nursing college has 20 laboratories in total including an advanced laboratory, a computer laboratory, a nutritional laboratory, a child health nursing laboratory to name a few. We also have a dynamic audio–visual aids laboratory which ensures that each student is involved. 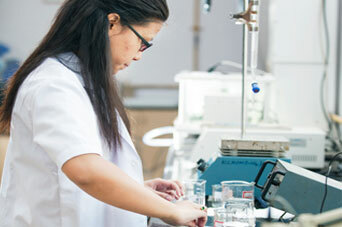 Laboratories play a crucial part in cementing any novel idea they have learnt and these spacious, student friendly labs persuade them to experiment theory and work around new concepts. The college is also affiliated to various multi specialty hospitals around the city so as to provide clinical settings for their students to experience. 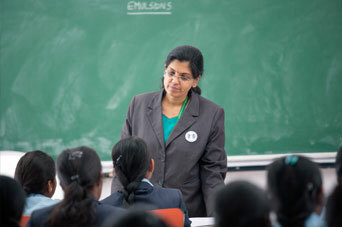 The students are even sent to rural and other community postings just around 3–5 kms away from the campus, giving them exposure to real world clinical settings. The success of our group of institutions is mirrored in the testimonials that our former and current students have to say about us.